Levi's squad invades the Reiss cavern, facing Kenny's forces. Rod explains to Historia the importance of taking back Eren's Titan power. 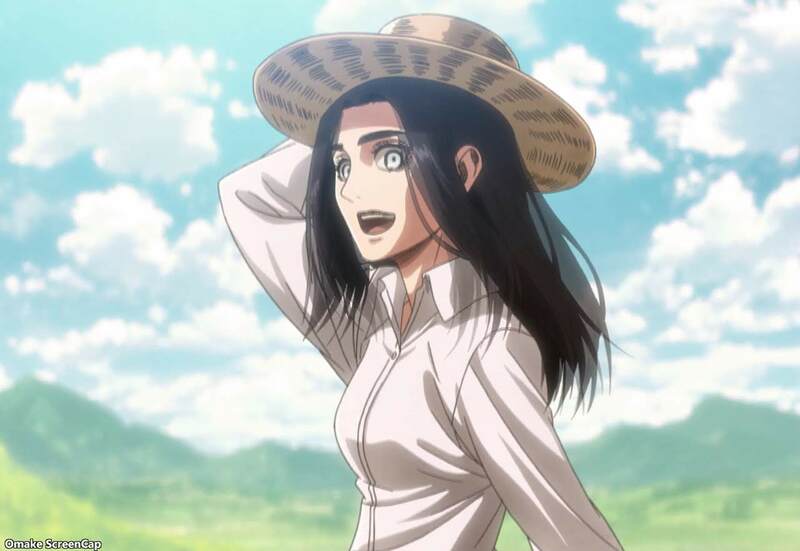 I think the most important part of the episode, which gets to the heart of the whole situation with this Walled Kingdom, is when Historia asked Rod why the royal family, with all the Titan powers they had, never exterminated the Titans attacking them from beyond the walls. Rod said that even he and his brother in their younger days asked their father the king to do the same thing, but he refused. The royal family blood manipulates memory, so the true king needs the Founding Titan's power plus royal blood to receive the past memories of the former wielders of the Power. Rod claims that it's royal blood that lets you see these memories, making Kenny's side agenda to take over the kingdom moot. Rod's not telling the whole story, though. Eren remembered what his father did in the short time that he had the Titan power, so what matters is that a shared bloodline transfers the memories. This is why it's important for a royal to receive the Power, so that they can remember everything that has happened to the royal family. Without that royal blood combined with the Power, the true story of what happened before the Walls were built would be lost. It's also very telling that as soon as a royal received those memories with the Power, they stopped advocating for eradicating the Titans. Rod doesn't know everything here either, because the reason for keeping the Titans around to keep people behind the Walls also involves not sharing that reason. It appears the story writer is going to leave us hanging on that reason for a while longer. Eren got his memories back, so he knows exactly what that needle will do to Historia. 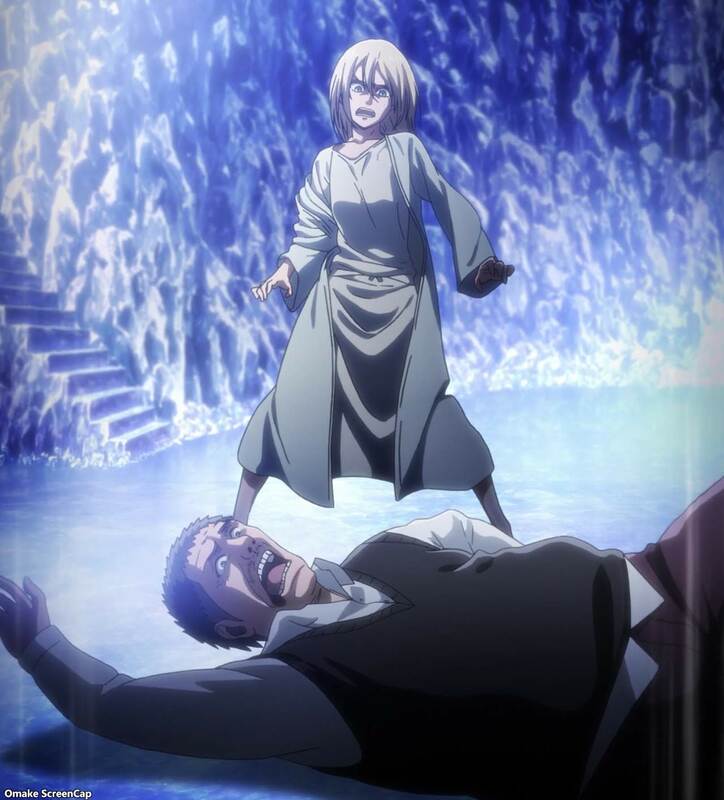 From what his father shouted at him, "avenge your mother," it looks like Grisha stole the royal Titan Power, the Walls got breached by the infiltrating Titans, and then Grisha somehow got Eren away from Mikasa long enough to turn him into a Titan and get eaten. Nice. 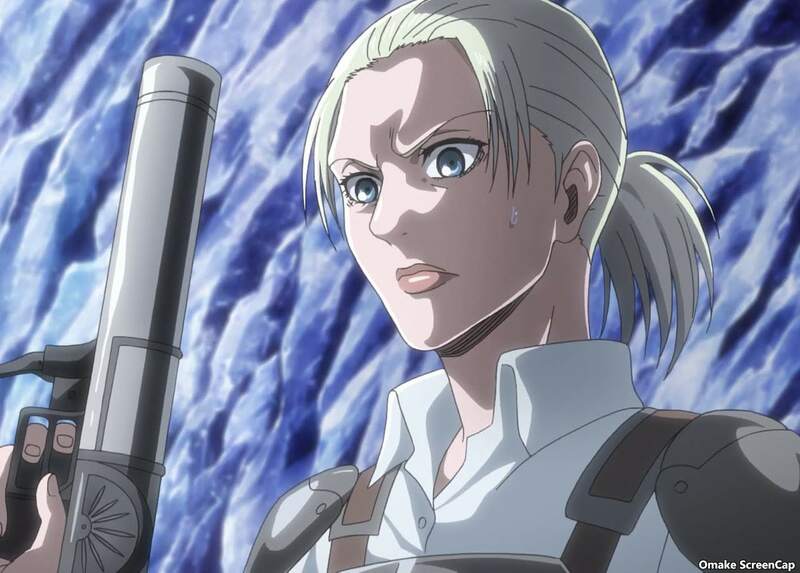 Armin and Levi came up with some tactics to handle those guns. Smokescreens and attacking while the gun and hook assembly is being used to move. Here we go. Kenny vs Levi the rematch. Not a fan of this rapping song during the action sequence. Kenny knicked Levi's cheek, but Levi gave Kenny a way better cut. Ouch again. Hange got hurt pretty good there by this Caven chick. I guess we can confirm that Levi is Kenny's nephew now, since Caven doesn't have an Ackermann name. 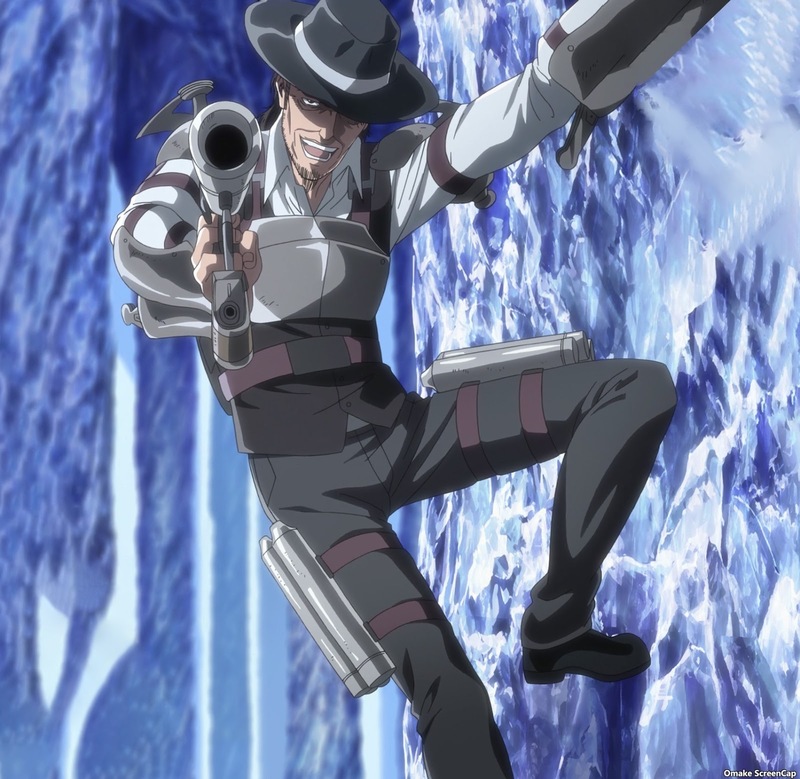 Caven got Hange by shooting her hook at her when Hange thought she had the advantage when Caven fired both guns and hadn't reloaded yet. Regrouping time. The Kenny squad cut the Levi squad out of the next vault. Okay, time for more exposition dumping. This Founding Titan made the Walls and this cavern. Is it the same power as what's in Eren? He didn't seem to be very good at making Wall material from what we saw in the first episode this season. Historia seems to have bought into this royal duty motivation. 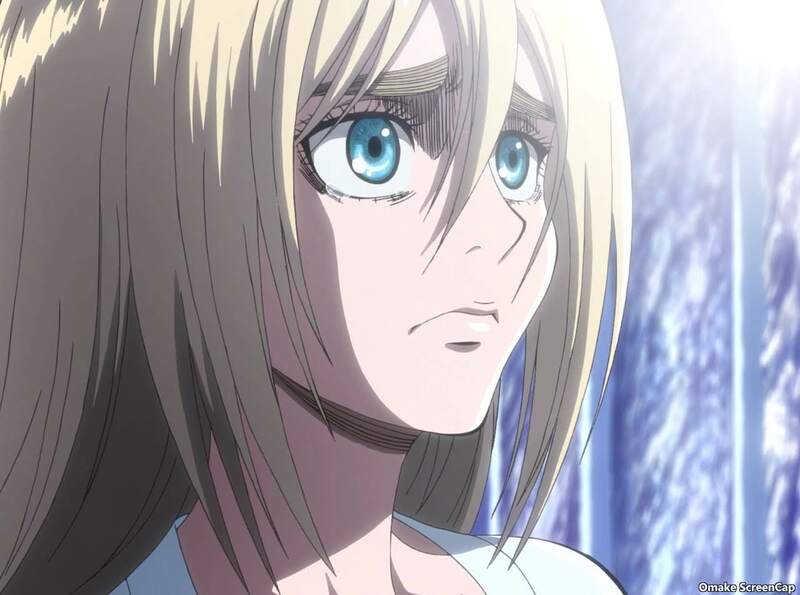 Both Eren and Historia keep forgetting how the Titan with the power and the memories all of a sudden wants to keep the Titans around. Rod says he can't become a Titan. Hmm, why? Historia can't go through with this after all. 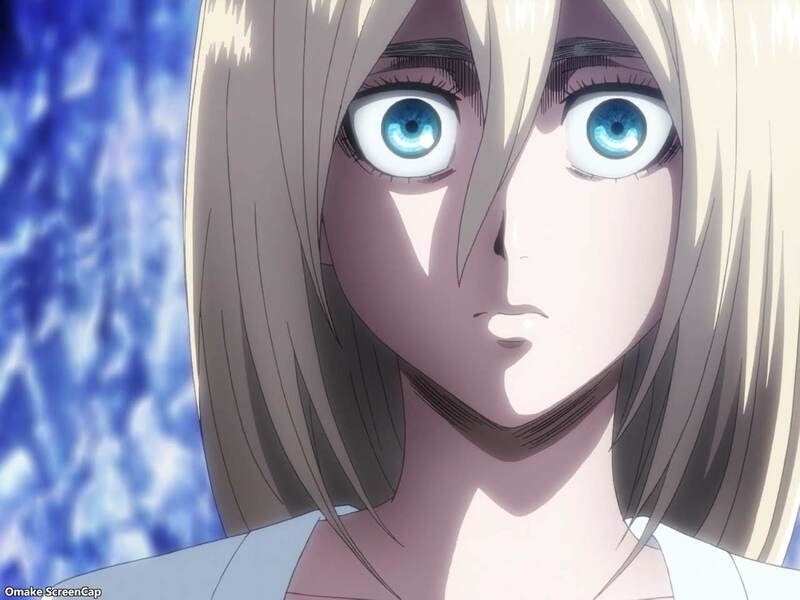 She's mad at people too, so now she wants to kill the Titans so the people will somehow not be protected by keeping Titans around. It's that "kill all the things" logic. 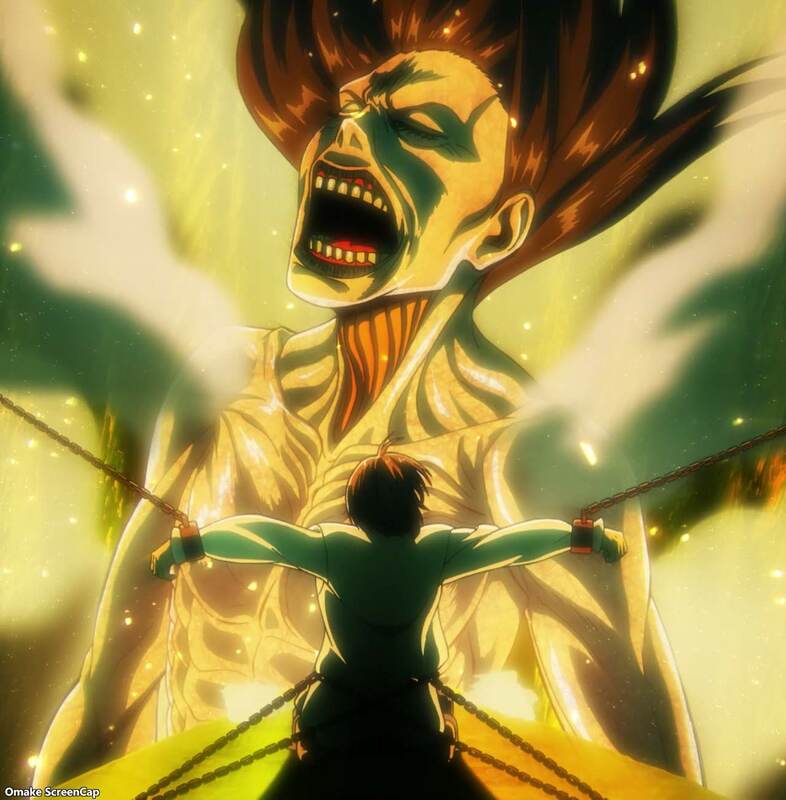 There's going to be real revolution now if that Titan Power isn't returned to royal blood. Youch. I think Historia broke Rod's back. Bonk! Yeah! Shut up crybaby Eren! I suppose we'll find out why Rod wasn't supposed to become a Titan next episode. That's a pretty good cliffhanger.